Can Your iPhone Work Under Water? This question is nothing but a fun with the iPhone user as we all know that iPhone doesn’t make waterproof or rugged. But when one say it can be possible then question arise how? 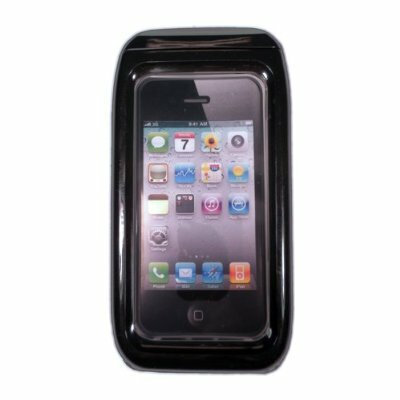 Keystone ECO MarineCase is such a protective covering for your iPhone which makes possible to use your iPhone under water. Keystone ECO MarineCase is made waterproof up to 20 ft/6m and it allows you to work freely without any hesitation that your iPhone would get wet or damage. It keeps your iPhone dry like bone and allows you to shoot video, take pictures and instantly share it with your friend on social networks. But most of you thinking that how it makes possible to get good phone signals underwater with such a protective silicon casing? You can get smooth signals on your iPhone to send and receive calls, email, use apps, play games, etc. The keystone ECO MarineCase is easily available at Amazon webstore with FREE Super Saver Shipping at price of $39.99.